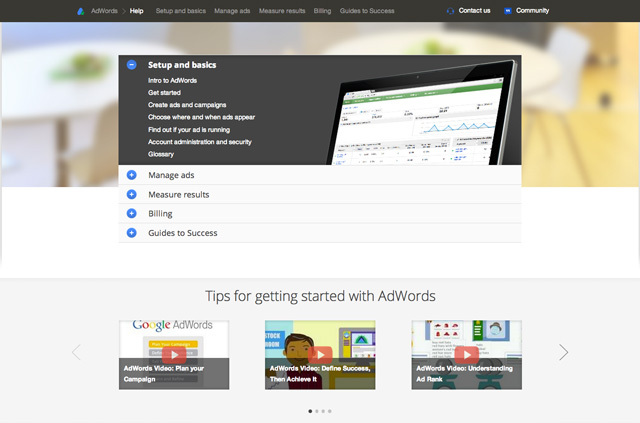 Google has completely updated and revamped the look and feel of the Google AdWords Help center. Huge difference, but I think most of the content is the same. Based on your feedback, we’ve redesigned the Help Center to make it easier find the information you need. We've also improved our help center navigation, while adding more screenshots and infographics to help explain features and concepts. We hope these updates will help you to better resolve your AdWords questions. Do you like the new look? Do you dislike it? Let Google know.